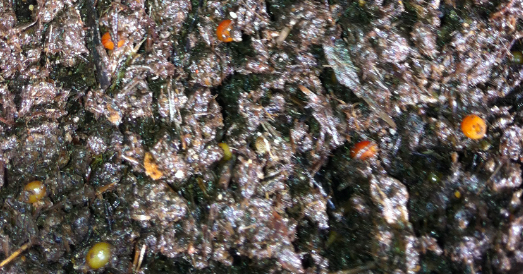 Red Worms, European Nightcrawlers, and Jumpers for composting, gardening, and fishing. How do I get rid of ants? A frequently asked question I get from worm farmers and gardeners is, “How do I get rid of ants”? Ants can be attracted to the food waste in your compost pile or worm bed. The good news is that a healthy compost pile or worm bed is going to have a lot of beneficial bacteria and microbial activity that the ants won’t like. So in most cases they are there for the food scraps, and will move along shortly. If they don’t move along and decide to set up shop, or you just want them gone, I recommend diatomaceous earth. 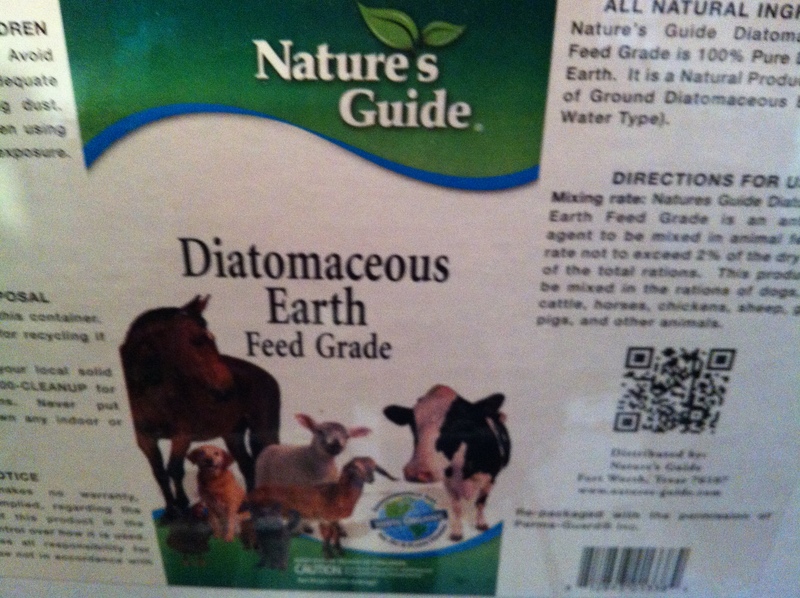 Food grade Diatomaceous Earth or (DE) are finely ground remains of tiny ocean critters called diatoms. DE can be sprinkled around any area where you want to get rid of insects or other segmented bodied critters. 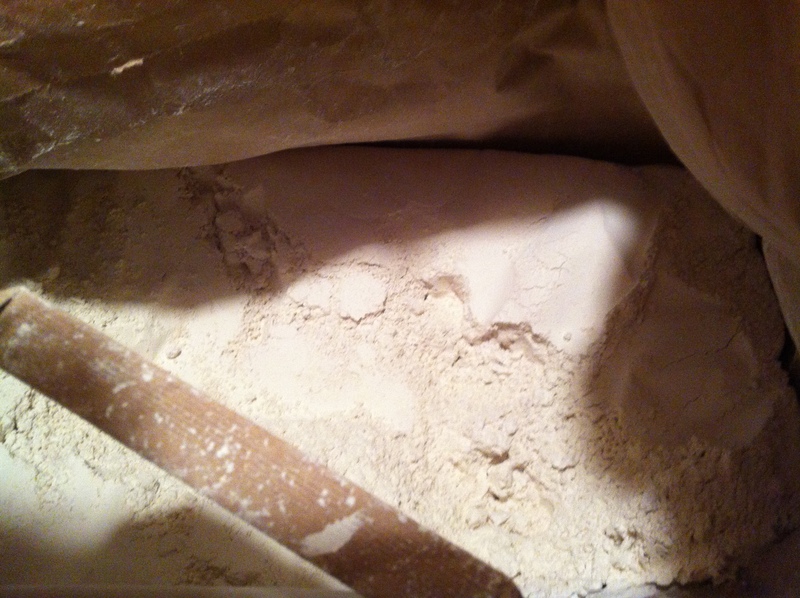 The tiny powder kept dry will stick to the ants or other bugs and make tiny cuts that will dry them out and kill them. Wet DE won’t stick, so keep your powder dry. Also, be sure to get food grade and not pool grade DE. Pool grade is super fine and can be dangerous when breathed in. DE is natural and won’t harm your worms or you. Other ant killers that contain chemicals might be harmful to your worms. 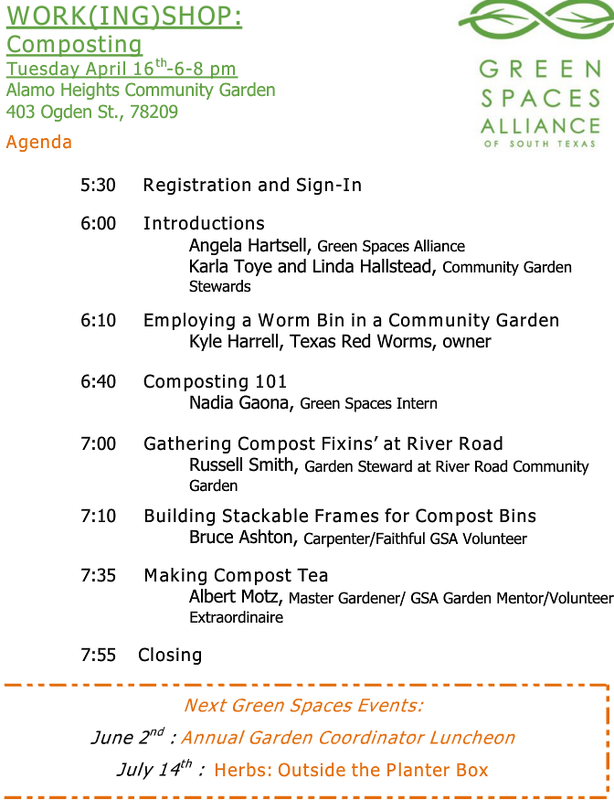 Today Tuesday, April 16th, from 6-8pm at the Alamo Heights Community Garden Texas Red Worms will be with Green Spaces Alliance at 403 Ogden St. Join us for instruction and discussion on worms, composting, and compost tea. Spring is here and the worms are hungry. Cocoons, and baby worms are appearing by the minute. Here are a couple of pics from this week’s castings harvest. Spring Fever Festival March 23, 2013. 33 Herff Road, Boerne TX 78006. The Spring Fever Festival is Saturday March 23, 2013 at 33 Herff Road, Boerne TX 78006. Kyle from Texas Red Worms will be speaking at 11 a.m. I will be presenting basics of worm composting and answering questions on worm farming. I look forward to seeing you there. Upcoming events include an April 16th appearance in San Antonio with Green Spaces Alliance. Stay tuned for more details. What type of worm is right for you? Earthworms have a couple of jobs, and depending on your goals you will need to decide what worm is best for you. Earthworms feed on decaying organic matter and produce castings. 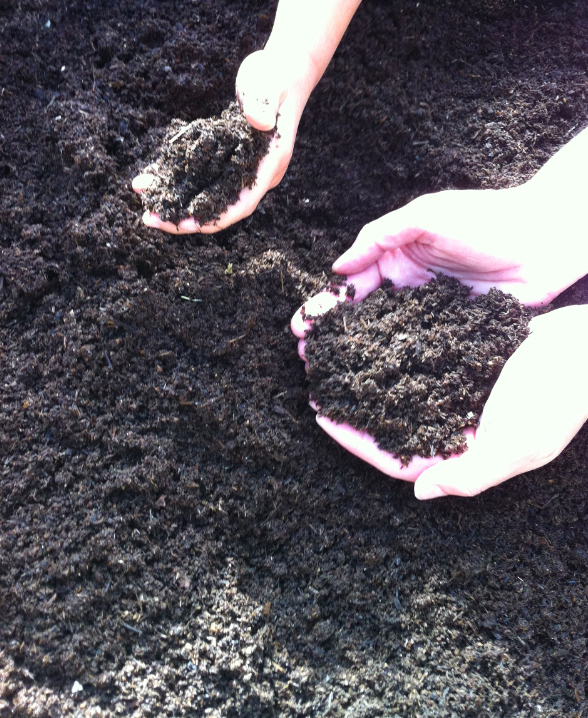 Worm castings (worm poop) is nitrogen rich, pH balanced, humous that is ready to be absorbed by plants roots immediately. Earthworms are the intestines of the soil and are top soil producers. Beyond soil production, their other job is to tunnel through the ground aerating and mixing the soil as they work. Earthworms are also the “plow of the soil” mixing layers of earth while they eat, tunnel, and deposit their castings. These tunnels allow oxygen and water to reach roots of plants and break up compacted soil for greater root penetration and growth. 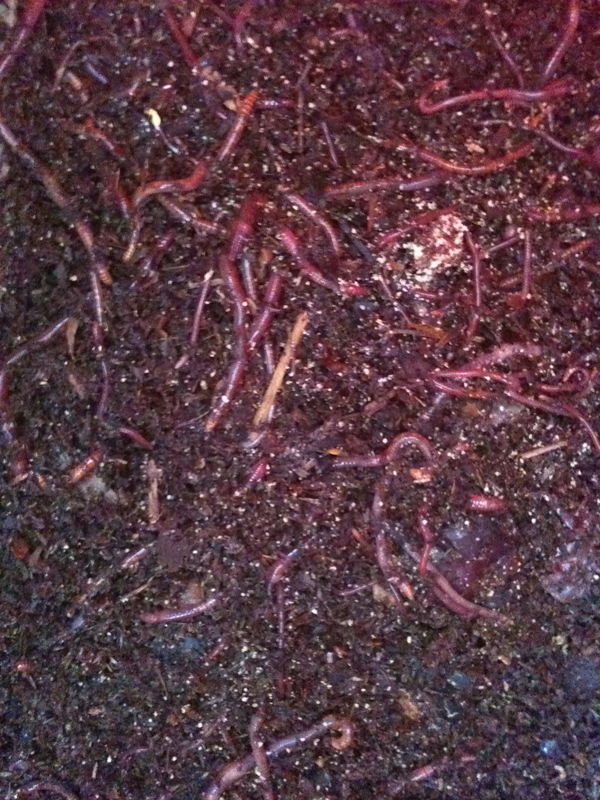 Red Worms (eisenia foteida) If your goal is composting and worm casting production, this prolific producer is your worm. Well suited for bin raising, not a candidate for adding directly to soil. European Nightcrawler (eisenia hortensis) Larger worm that is an excellent for composting and fishing. Well suited for bin raising, not a candidate for adding directly to soil. Alabama Jumper (amynthas gracilis) Large worm that is a powerful aerator. Strong worm that is ideal for adding to garden or soil and can burrow deep in hard packed soil. These worms are deep divers and do a great job of mixing layers of the soil, can be bin raised but are better suited for the soil. Check out this recent MySa.com article on the wonderful work going on in the King William historic district along the San Antonio Riverwalk at Villa Finale historic site and museum by head groundskeeper Orlando Cortinas. Worms do their part to keep Villa Finale lawns lush by Rose Mary Brudge. Vermicomposting is the natural process by which red worms process waste and convert it into an efficient natural fertilizer. 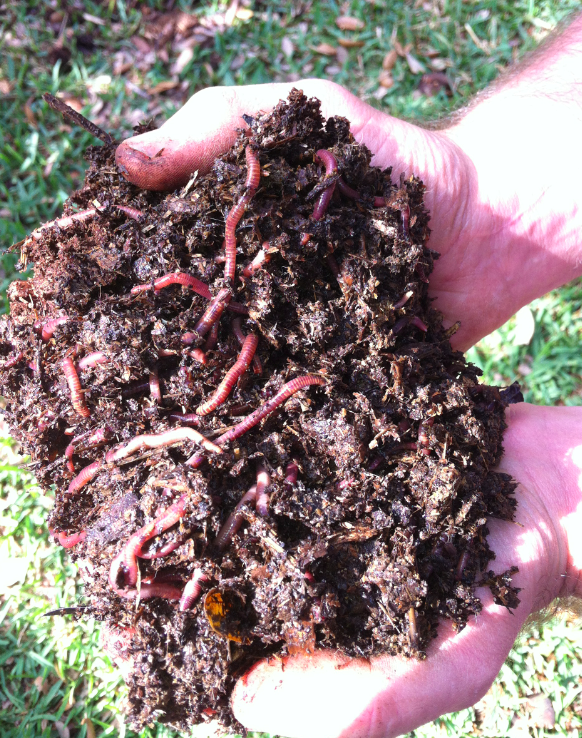 In this program, Kyle Harrell of Texas Red Worms will show participants how they can take kitchen waste to create a wonderful fertilizer that will enrich their garden soils and plants, all with the help of worms! 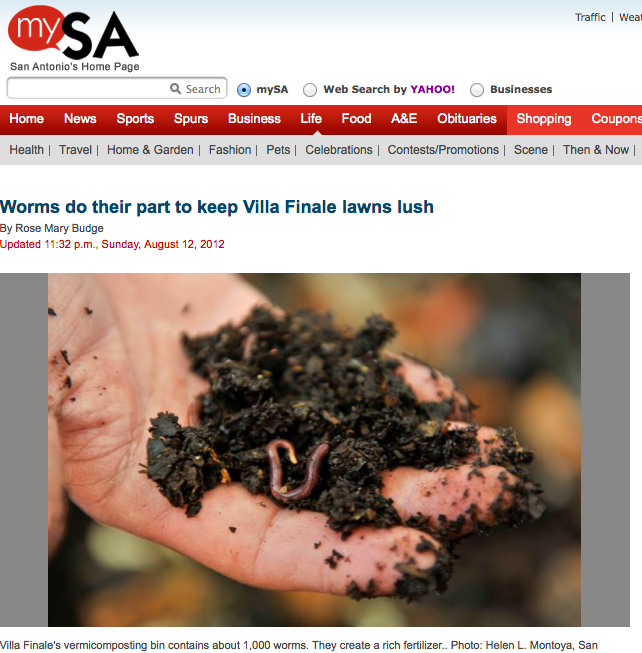 All paid participants will receive a sample of Villa Finale’s compost and a few red worms to get them started at home. Comfortable dress is recommended. Space is limited – please call Villa Finale Visitor Services to make your reservation.